Fancy a night at the movies? Then this wonderfully stylish treat is the perfect accompaniment. It sure will impress your friends as the popcorn tastes just as fabulous as it looks. 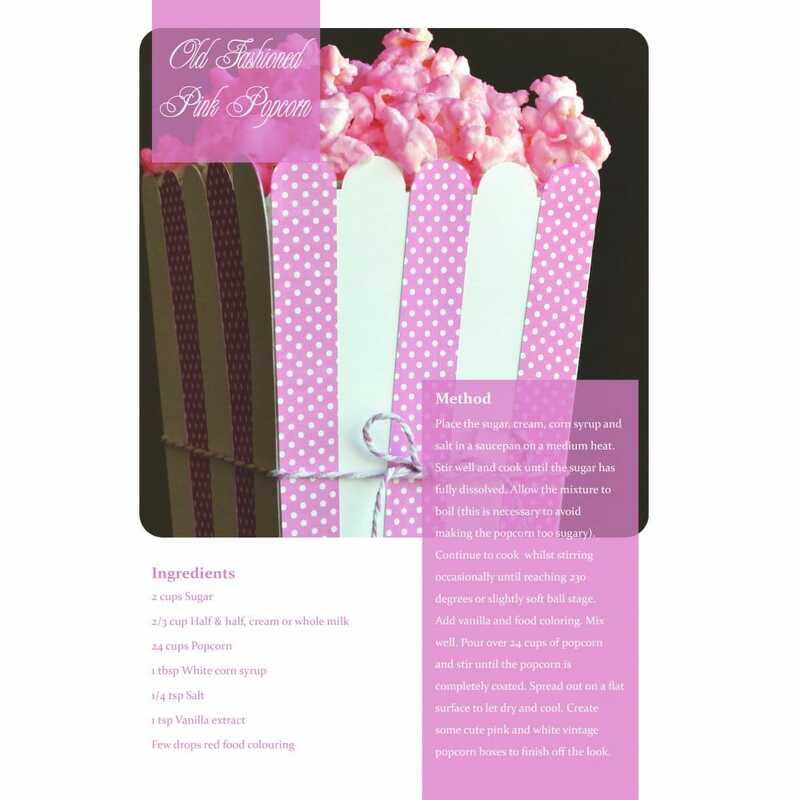 So grab yourself a girly film and this pink popcorn will be the perfect snack to share with friends.